A study looking at energy usage and expenses for 150 New Zealand dairy farms concluded that the typical farm was using up to 28 per cent more power than necessary. It’s not a new problem for the agricultural industry... but it is one that won’t change unless farm owners adjust how they use energy. Kiwi farmers have to think about finances to ensure your farm is sustainable in the long run. That means not only focusing on revenue and productivity, but also on reducing costs, especially in the area of energy. In this blog, we’ll shine a light on ways you can lower your farm’s power costs, and operate more profitably as a result. Summer is the perfect time to pay attention to energy usage patterns on your farm and start cutting expenses. To start saving, you have to know where your dollars are going. Once you see the breakdown of your energy demands and the costs that go with them, you can change the way you operate for the better. If you’re leaking too much money towards energy costs in some of those areas, you’ve spotted prime targets for upgrades and more energy-conscious operations. The more control you have over ventilation, the less you’ll have to spend on heating. Take a look at your air ducts and whether they’re blocked with dust or other debris. Keeping the ducts clean and completely functional is a simple way to potentially lower energy costs. Also, think about updating your ventilation control. Newer automated systems can be much better at managing airflow, according to current temperature and the needs of the space. Refrigerators can be huge energy hogs. However, you might be able to start saving energy with a few add-ons. For walk-in freezers, consider whether you need fans to run at all times. If not, a timer can be extremely useful for saving electricity. For coolers of various types, adding heat-recovery systems can spare heat generated by condensers from going to waste. Specialised systems, such as always-on refrigerated vending machines and display cases with evaporator fans, can use lots of energy while running unattended. Look into getting rid of under-utilised machines, or replacing them with more modern, power-saving versions. Solar power is an eco-friendly way to meet all your farm’s electricity needs. And, summer is the perfect time to harness the vibrant daylight for cost-effective power. Solar panel arrays can be attached to the rooftops of your sheds or ground-mounted on other areas of your property. 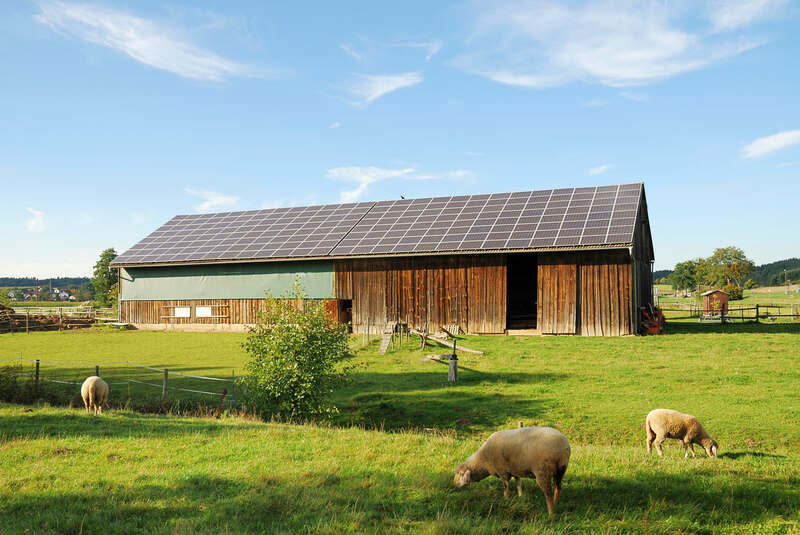 Sunlight hits the panels and is converted into power that can be used wherever it’s needed on your farm, enabling more productivity at a lower cost. Using solar during your daytime operations is the most cost-effective way to go about it, especially during the summer — because you’re consuming the power as it’s being generated, when your panels are most productive. Solar systems are also much more economical than installing new power lines for irrigation and remote equipment needs. A review of your lighting can reveal many power-saving opportunities. For one, try replacing old incandescent light bulbs with compact fluorescent lights (CFLs) and light emitting diode (LED) bulbs. LEDs are often best, lasting up to several years of daily usage. Timers, dimmers, and occupancy sensors can reduce light when full brightness isn’t needed. Additionally, you could build out skylights or look into purchasing reflectors as strategic ways to lower energy needs for lighting. Saving on energy costs is important to your farm’s long-term business prospects. It requires being aware and being proactive when the time is right, and there's no better occasion than the summer. By surveying your energy usage patterns, making adjustments in ventilation, refrigeration, and lighting, and considering an effective, sustainable power option like solar energy, you can lower power bills and create a more profitable future for your farm.